I think it was way more common in the early days of Doom but it was still relatively uncommon to find someone who had uploaded a .ZIP that collected single-level PWADs. The biggest exception in my recent memory would be jazzmaster's 32-in-32 series. In any case, two of Malcolm's earliest - and largest - releases were done in this style of compilation. 3PACK_1 collected one earlier level for an update and added two for an odd three. DS-61-2 doubled the fun with six PWADs and this time they were all originals. Most of its contents saw an update in 1996 as part of the DS-61-3 package. Both are named after Darth Vader's wing men in the first Star Wars movie. Based on the timestamp for FROMDREM I'm pretty sure that the original date of publication was late 1995 but I would need a copy of the first release to verify my assumption. While this collection has six WADs, ALAPOLGY itself contains two maps, bringing the total up to seven available adventures. 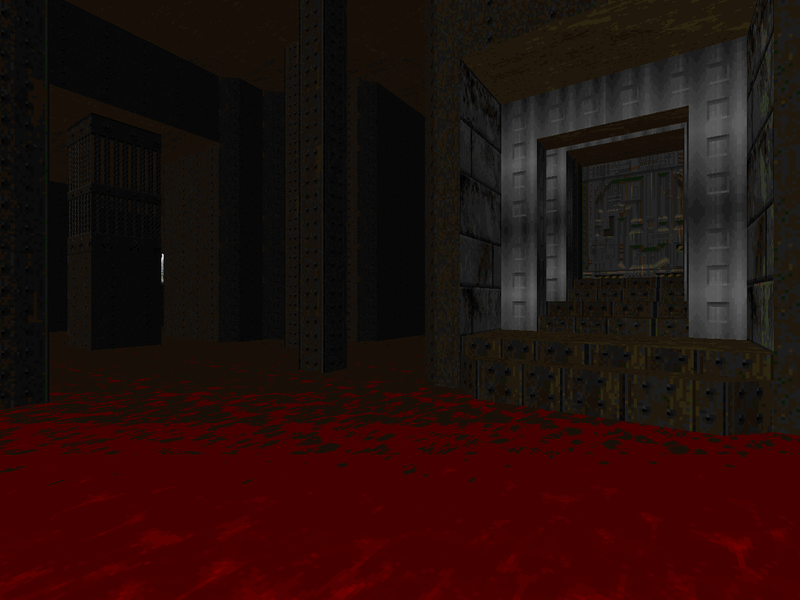 In my opinion, half of these outings - LAB, BOOM, and WASTEME - could have fit alongside the Master Levels for Doom II quality-wise. 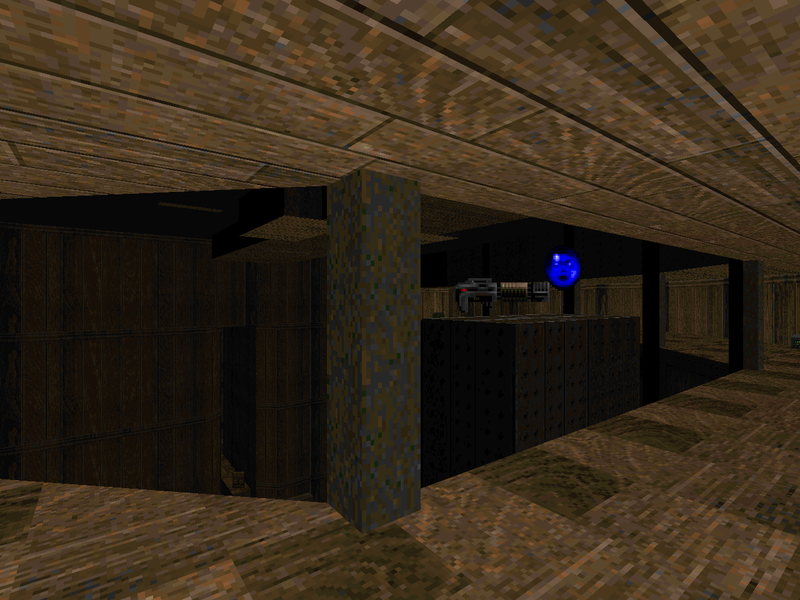 The simple but effective detailing, architecture, and atmospheric lighting are pretty good for 1995. The argument against would be based around their relative linearity, not to say that things like Geryon weren't just as stringy. 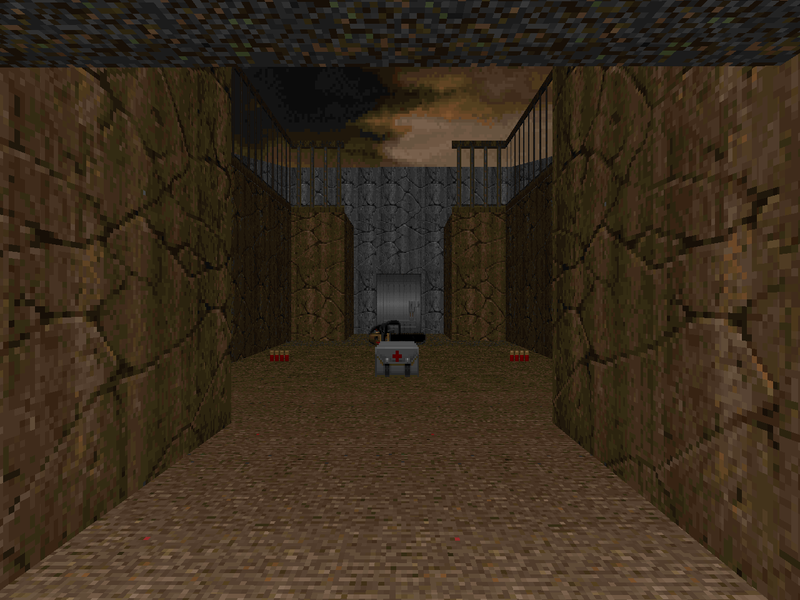 Other players will likely take issue with LAB requiring the player to locate secret but marked doors in order to progress but MANOR and TTRAP are far more demanding examples. I suppose there's also the fact that BOOM starts out as an echo of Anderson's DANTE... which may be part of the reason I feel like it could fit alongside the likes of VIRGIL. The other three maps are short if not necessarily simple and serve as interesting experiments for one reason or another. 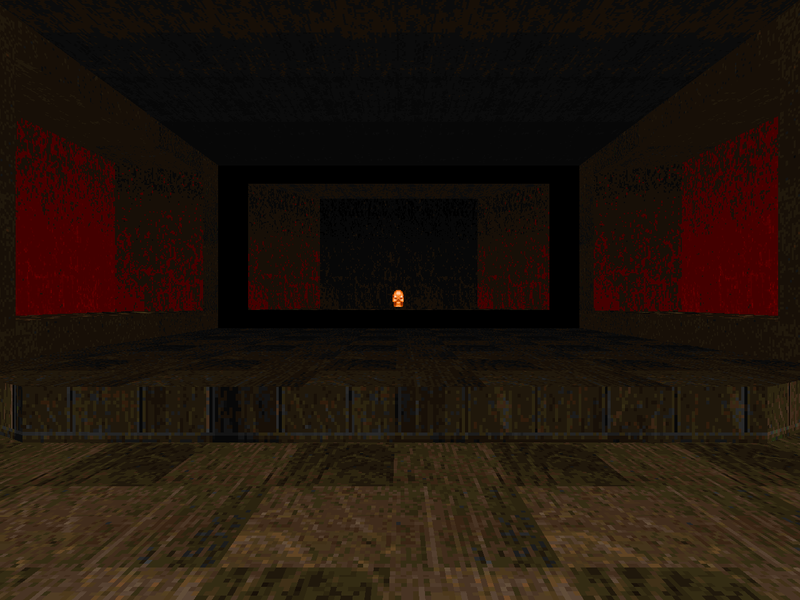 ALAPOLGY's second level is slightly torturous for the player, particularly its ending. 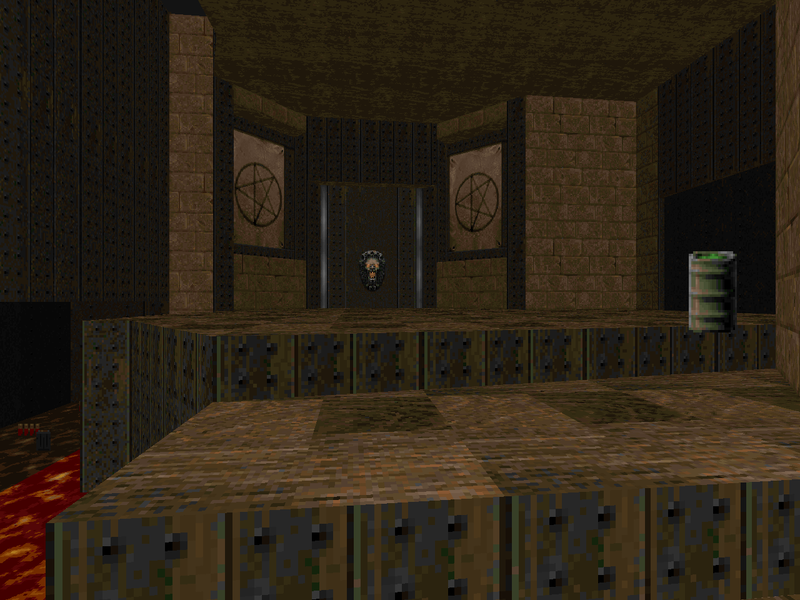 I really enjoyed FROMDREM if only because it does seem like something rendered from a Doom dream. SINFERNO appears to be guileless on its face but on further analysis I think of it as the most devious item in the set. None of the three are substantial experiences but then again the middle trio maps aren't particularly long, either. WASTEME comes about the closest to an experience of regular length. 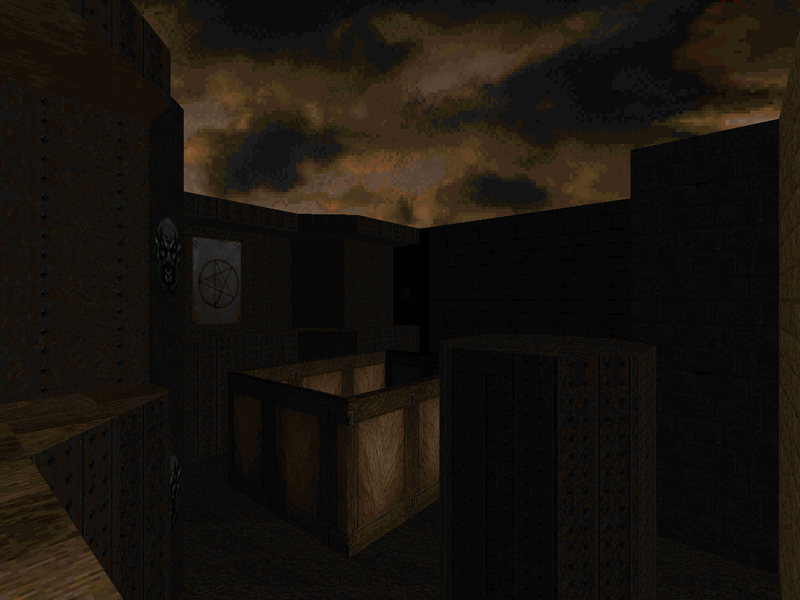 DS-61-3 is a nice collection of fun-sized fantasies and if you dig the gently polished quality of the best of 1995, particularly the Master Levels for Doom II, then I would definitely give this one a look. Two levels. 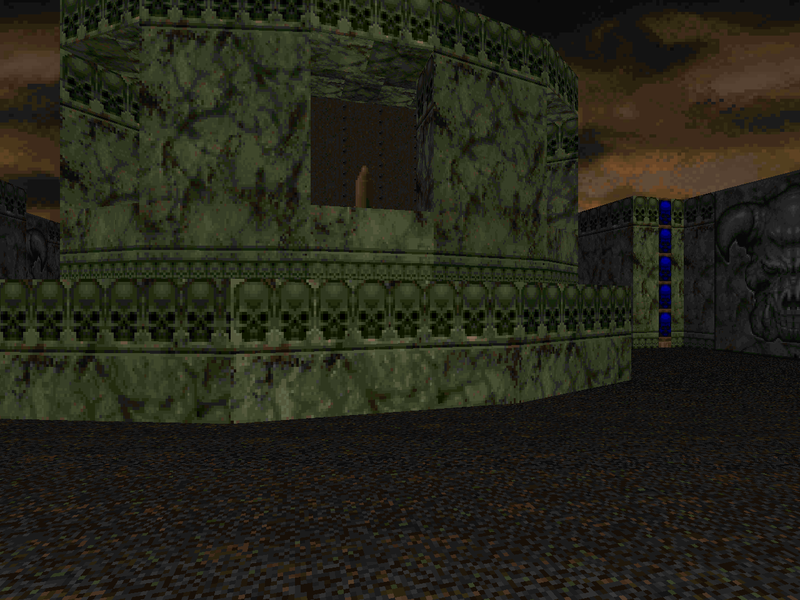 The first has a sort of earthy feel, like caverns built on the outskirts of a base, and you have to take down mostly trash monsters using the pistol and chainsaw. You do get a rocket launcher near the end but it's basically for a couple of Hell nobles and a surprise skeleton. The second is a really short tricksy map with successive monster closets and a final switch puzzle where you have to either get both the correct button and the timing right or reload your save. Third option: exploit your infinite vertical reach. This one is a very short and highly linear adventure rendered in bricks and metal but the architecture in the first area is pretty cool. It also starts with you breaking up a potentially dangerous commando conga line. The rest of the action is really simple. Apparently its design came from Sailor's subconscious - in a dream. 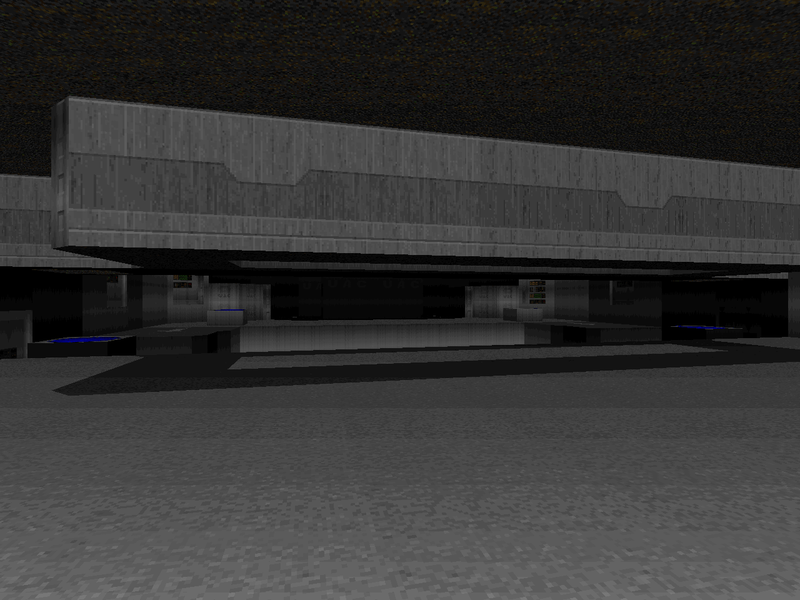 A science facility whose first half is bright and silver, the second being dark and corrupted. Its three areas are navigated by way of teleporters but they don't work exactly like you'd think - without looking at the automap, anyway - and I love the major set piece area, visited at least twice during your progression. The lab has a couple of "unflagged secrets" and you need to find them in order to progress but they're pretty obvious and you don't have a lot of ground to cover... or get lost in. This one borrows heavily from Dr. Sleep's Inferno series in its aesthetics and especially Dante's Gate. Think beige bricks and dark metal. It only has one secret but the author saw enough of an issue with the start that he decided to apologize in advance. I don't see much point to the ledge covered by zombies and imps in the outdoor area but I like the platforming. The rest of the combat is pretty good, especially that opening teleporter ambush. Check out those little amateur Anderson lights in the corridor you jump into. The longest level of the set. 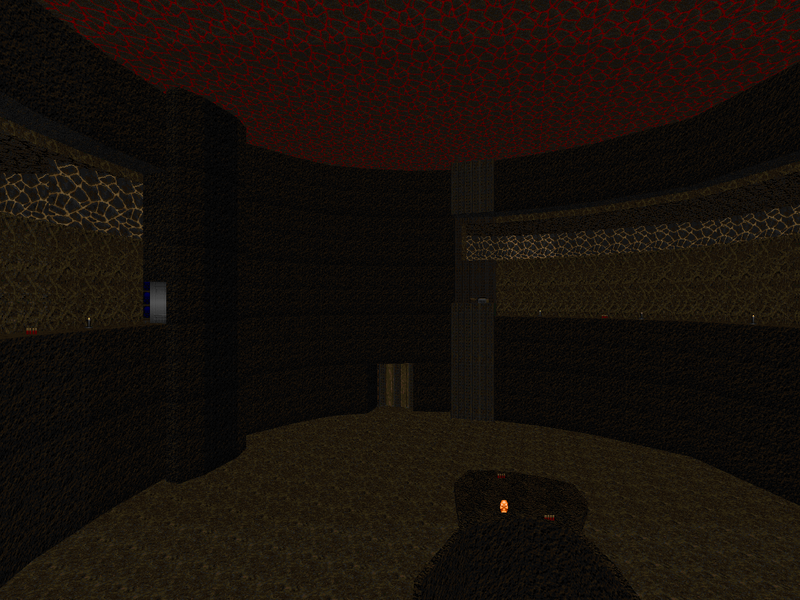 The first part is a cramped marble ruin that leads to a courtyard with a lot of choices. It's a little tricky but mostly trappy. The second bit goes deep underground where you fight your way through some blood sewers on an enviro suit timer only to confront a Cyberdemon. It has a very slow pace because all of the action apart from the boss is fought using the shotgun, including a handful of Barons. Cybie himself requires a rocket launcher but it's more of a carnival duck shoot for reasons you'll see when you play it yourself. A Hell level that's more original than Sailor's earlier OMELET. You start out in a big, underground crater. The initial shape is a ring which is a bit of foreshadowing because the author has committed to running you around in circles. You're not going to get lost, or stuck, but all roads lead back to the same focal point - the section of circumference containing the yellow key door and the immediately adjacent spaces.